The apps I have developed are ones I wanted to use in my own therapy. I’ve been blessed to work with Barbara Fernandes of Smarty Ears in creating my apps. Released November 9, 2014. 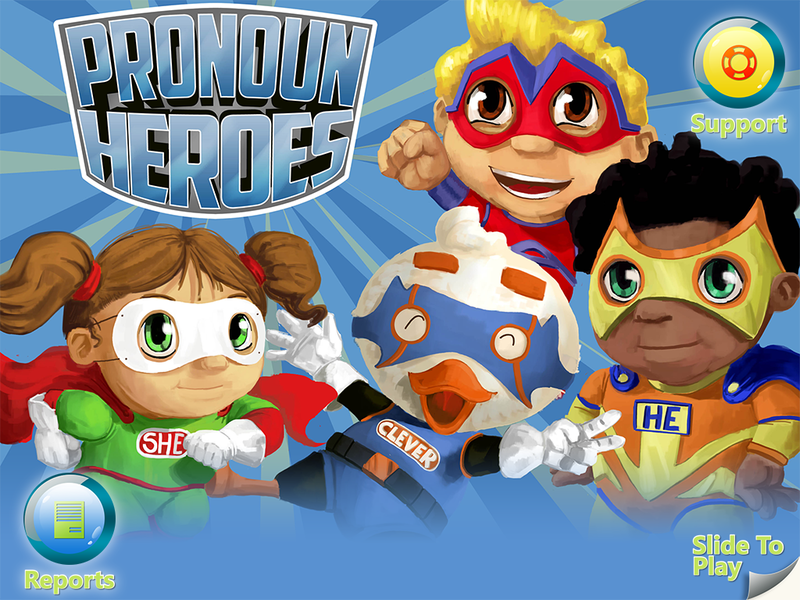 Pronoun Heroes is designed to assist in teaching all-levels of pronouns. From simple identifying the pronoun, to identifying the word that’s not the pronoun, to completing sentences, Pronoun Heroes covers it all. Customizable in many ways including creating your own combinations of pronouns for individual teaching. Released in July 2013. The Basic Concepts Skills Screener is designed to assist in identifying those at risk for later reading and/or language problems. BCSS takes about 10-15 minutes to complete the whole screener, 5 minutes for the quick screener. Assesses most basic concepts (quantitative, comparative, temporal, and spatial) for ages 3-6. PLC was released May 31, 2013. Designed specifically for use with highly unintelligible children with speech-sound disorders, PLC incorporates the Cycles theory throughout the app from target selection to data collection. PLC includes auditory bombardment, as well as primary and secondary targets with word, carrier phrase, or carrier sentences. Finally, PLC also includes homework pages that can be printed or emailed. CLC was released in February, 2012. CLC is an expressive and receptive multiple-player application designed for iPad. There are multiple levels with increasing levels of difficulty. The expressive levels require a client to name the category in which the items belong. I like to encourage the client to “name two more” items that fit in that same category. This app was designed and authored with four other SLPs. We realized the need for a goal bank when we were discussing various curriculum based goals on twitter. Each of the SLPs involved had their own strengths with creating goals and it’s a great starting point to get new goals or to jazz up existing goals. You can edit and create new goals and store them in the goalbank as well. Upcoming Apps: There’s another app (or three) on the way…but I’m keeping it a bit under wraps just now. It’ll be a great app using Smarty Ears Applications Smarty Symbols set… Stay tuned for more information. Does the SLP goal bank provide scaffolding goals? I’m not entirely sure what you mean Jane. It has incremental goals that can be selected (e.g., sounds in words, phrases, sentences, conversation; retelling stories using pictures, cue cards, w/o prompts; name 3 items in a category, name 4 items in a category, provide superordinate category name; or hand over symbol, discriminate between symbols, discriminate between 3 symbols, etc.). Does that help? I just found your blog and am so excited to subscribe! 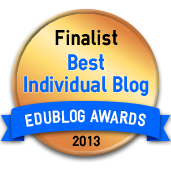 A search took me to your school credentialing article which I am fascinated by. Thanks!! My name is Dena. I just read your blog about the differences between articulation norm charts and I am very impressed! I have just completed my first year of grad school and this is the topic I have chosen for my portfolio paper. I worked as an SLPA for several different schools through a CO-OP (before going back to school) so, the “norm” charts given to me were always different depending on the supervising SLP. It was very frustrating! Thank you for this post! It will be a perfect launching point for my final paper! If you know of any other resources you think might be beneficial for me to check out, I would greatly appreciate your guidance!